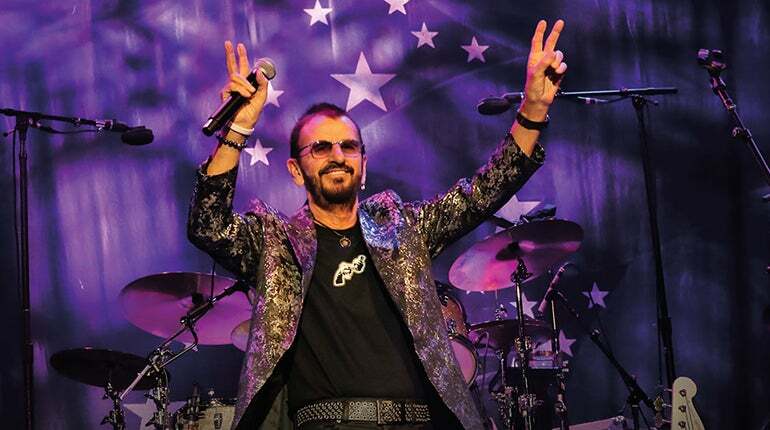 Sir Ringo Starr announced tour plans for 2019 with his All Starr Band, featuring Steve Lukather, Colin Hay, Gregg Rolie, Warren Ham, Gregg Bissonette and the return of All Starr alum Hamish Stuart. The tour will make a stop at the Paramount Theatre in Oakland on August 28. Last year, Ringo released his third book, Another Day In The Life, in Limited Edition with Genesis Publications, while the hard cover will available in wide release this April. Following in the series that began with the sell-out success of Postcards From The Boys (2003) and Photograph (2013), this book includes previously unpublished photographs, captioned with Ringo’s observations and anecdotes. Reflecting his love of music, travel and nature, Another Day In The Life shows us the world as seen through Ringo’s eyes. From Los Angeles to Tokyo and everywhere in between, many of Ringo’s observational images celebrate the quirkiness of life. In November Ringo will be honored when he receives the Humanitarian Award from the George Harrison Fund for UNICEF on “Giving Tuesday,” November 27, 2019 at their annual Snowflake Ball in New York City.